the former president passed away at 3am this morning. the rain today is appropriate for the collective feelings of her countrymen, mourning for her loss, mourning for the state of the nation. her influence extends beyond her capacity as a person and as a president. nobody else could be a symbol of hope for many, nobody else could match up to her sincerity, her spirituality, her love for the country. i was very young in mindanao when the people power revolution raged on edsa. i couldnt own up to my experiences to say i was affected by the change, but i lived through not knowing how it felt to be under martial rule. and for a president that prayed much, i could say i also lacked of it. 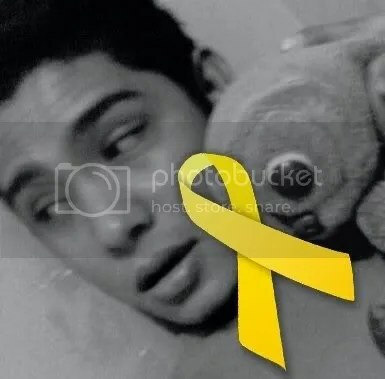 i posted the yellow ribbons on our facebook profiles in keeping wake with her fragile state in the hospital. now we keep the yellow ribbons in mourning of her passing. belatedly i thank her for giving the country a glimmer of hope in this desperate times of power-hungry and ambitious people who forgot what they were supposed to do. i thank ninoy, and i thank cory for teaching me we could still do more for our country, 1 prayer and 1 step at a time.